Combine flour and salt. Cut in butter. Combine just until mixture resembles oatmeal. Add ice water and combine just until the mixture begins to come together. Transfer to a lightly floured surface and gather it into a ball with your hands. Gently flatten into a smooth dish about 1 1/2 inches thick and wrap in plastic. Refrigerate at least 1 hour. Roll dough on a lightly floured surface and into a round about 1/8-inch thick. 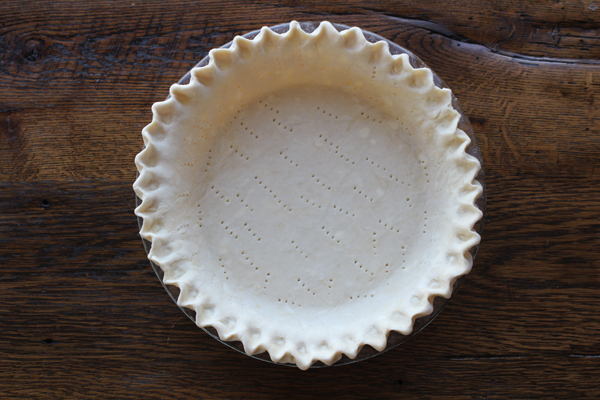 Press into pie plate.